Showcase at its finest !! 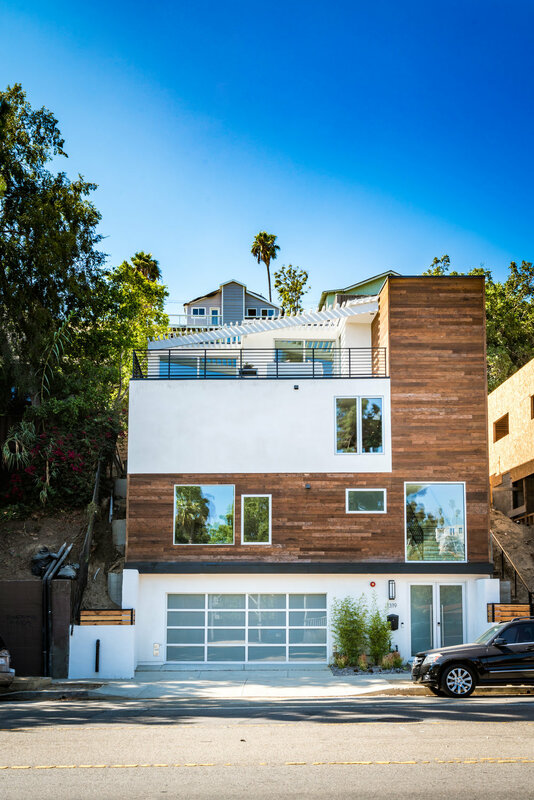 New Constructions home in the heart of Silverlake. Minutes from Sunset and the city's hottest restaurants. Custom Value windows with lifetime warranty. Sits on 4282 sqft lot with a view on DTLA and Dodger fireworks on Friday nights. On the mezzanine level you will find the office, laundry room and 1/2 a bathroom. Next level up step into the master bedroom with master bathroom and walk in closet. Top level features living room, dining room, kitchen, two bedrooms, one bathroom and beautiful patio plus exquisitely landscaped backyard with a pool. The house also features exterior stairwell from Silver lake Blvd. Great for entertaining. Cast iron drain lines used for sound isolation. Tongue and groove reclaimed wood- siding handmade by local artisans. Aluminum and laminated glass door with unique side mount garage door opener. The garage also features a car turner, enables the luxury and convenience of an easy exit of your garage. It also features an electrical 200 amp located upstairs, plus two 100 amp located in the garage and master bedroom. Gorgeous Sonneman light fixtures throughout the house. The house also comes with Wink hub 2 enabled smart home front door access include ring camera doorbell and Schlage connect door knob. Enables remote monitoring for your mobile device. This a must see home. Vacant and ready to move in! Beautiful kitchen with plenty of space, new kitchen cabinets, new flooring, and new paint! Multi-Unit! Live in one and rent the other, or rent both! Located near schools and shopping centers. Won't last! Directions: E. 109th and S. Central Ave.
New Construction - Mediterranean Village Style Hillside Home in the Mt Washington Area. 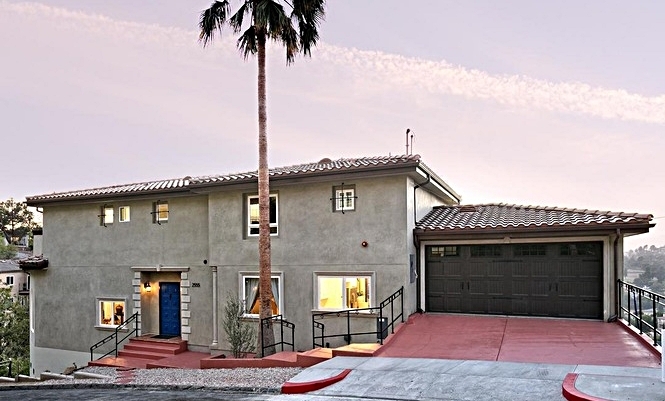 With 3 Bedrooms and 3.5 Bathrooms, this house offers breathtaking, unobstructed panoramic views that sweep from Griffith Park Observatory, Eagle Rock, Highland Park to the San Gabriel Valley. The privacy offered by its end of the cul-de-sac location. The grand living room features French doors, custom iron chandeliers, hardwood floors, hand-forged sconces, and an antique mantel (from the Huntington Library), that frames a gas fireplace. A dining/entertainment area, as well as a sleek white shaker kitchen, are inviting, comfortable and luxurious. Prepare to feel as if you have been transported to a glamorous Mediterranean villa the moment you enter this secluded three-level, 3000 - square foot home built on a 7,215 - square foot lot. Ready to move in! Must see this unique Burbank property in very desirable location. Completely remodeled. Refurbished hardwood floors. New kitchen, HVAC, plumbing, windows, master bath, doors, driveway, patio/deck, master bedroom, landscaping/sprinklers. Short distance to Thomas Jefferson elementary school. Close proximity to Town Center Shopping. Exclusions: This property is professionally staged and does include any of the furnishings. 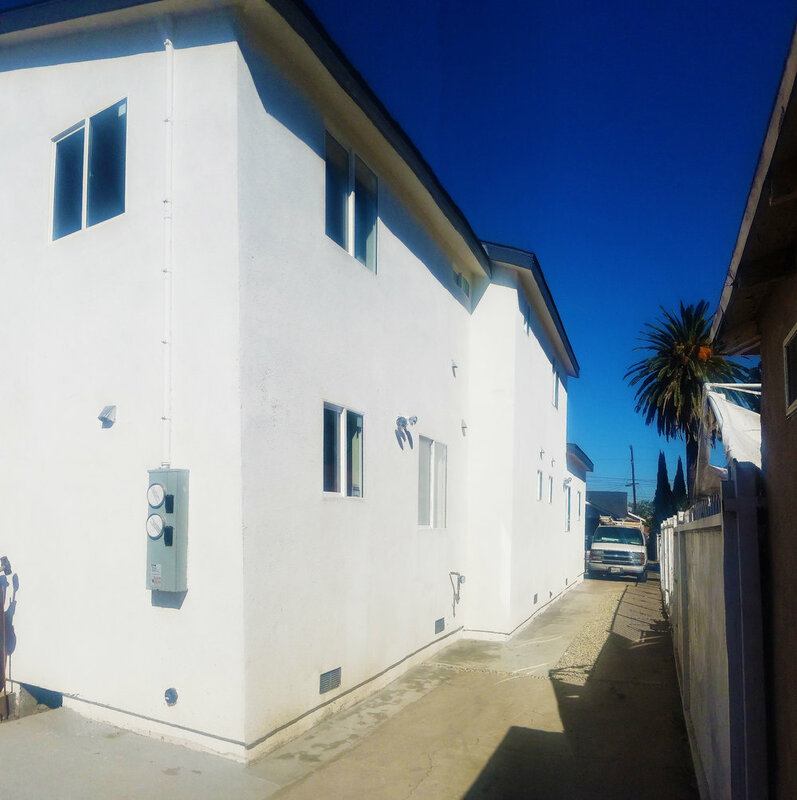 Fabulous all new construction, four plex right in the heart of Hollywood. Come see this turn-key property which has NO RENT CONTROL. Two units are 2 bedrooms and 2.5 bathrooms (approximately 1,250 s/f. ) The other two units are 3 bedrooms and 2.5 bathrooms (approximately 1,525 s/f). Easy access to shops, restaurants and attractions make this property very desirable. Added views make this property a must see. All units have sleek, modern kitchens with stainless appliances. Kitchens open into large living room areas that are perfect for entertaining. Beautiful floors throughout. Beautiful bathrooms with custom tiles and stylish fixtures. This property boasts a 13.9 GRM and 5.7 Cap rate, and for added convenience there is a fifth electric and water meter for the owners common areas. Driving Directions: East of Vine, North of Melrose. South of Santa Monica. Close to Paramount Studios. Spectacular four plex in the heart of everything. Minutes to Downtown, Hollywood, West Hollywood and close to Freeways. 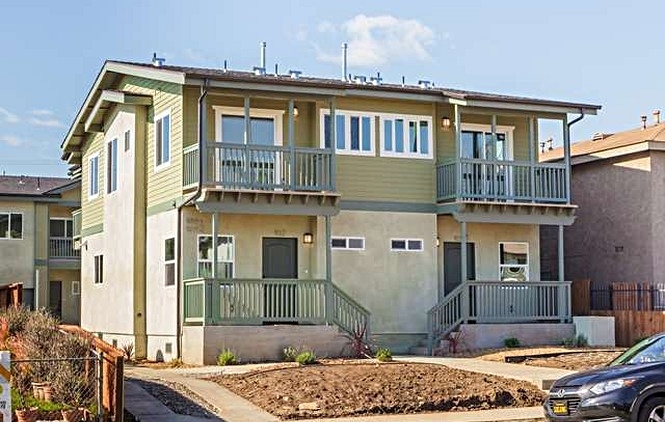 Ground up BRAND-NEW build with peek-a-boo views of the hills and Downtown. Old Hollywood with a modern twist. This is a must see and will move fast. All units feature stainless steel appliances and Malibu tiling in the large open plan kitchen/living room areas that are ideal for entertaining. Beautiful modern grey floors throughout. Inbuilt washer/dryer hookups. Ample covered and courtyard parking. All offers due Monday 29th by 10 am. Driving Directions: East of the 101 freeway between Santa Monica and Melrose. Gorgeous 4 bedroom 2 bath redone craftsman home in the trendy Cypress Park area. Easy access to DTLA, Mt Washington, Dodger stadium, Silver Lake, Echo Park, highland , Glendale and the Valley. In a nice and quiet neighborhood. Gated front and back yard.